New regulations require companies to inform visitors about the data being collected on their website and provide users choice about what information they are willing to share. That doesn’t mean that compliance has to be complicated. 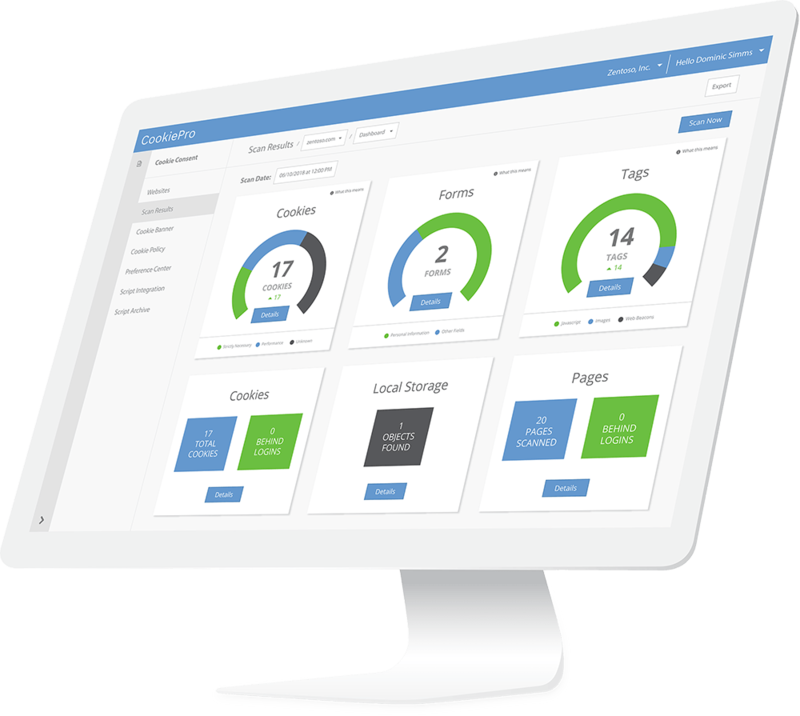 CookiePro was purpose built to help website owners achieve and maintain compliance quickly and easily. 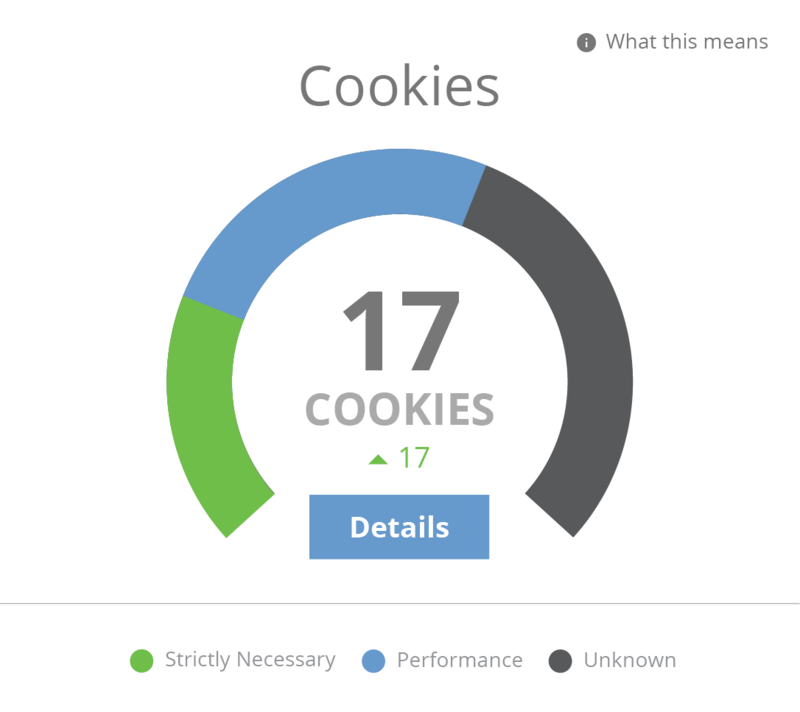 CookiePro enables businesses to automatically identify and categorize cookies, generate the appropriate consent notices and easily implement a banner to address privacy regulations. Don’t wait to get your website compliant. Generate a cookie banner for your site using one of the UI templates provided, or customize your own based on your approach to capturing visitor consent. Tailor the experience based on location and language, and give users an easy way to manage their cookie preferences. Get started quickly without any heavy lifting from your web team, and a user-friendly interface within the CookiePro tool makes setup easy. Reliable assistance you can count on. If you need any support as you implement CookiePro across your websites our global support team is here to assist. With 24/7 access to your support portal, user community and ste-by-step tutuorials, getting started is quick and easy. If you need more customized support our support team is available to make your implementation successful. 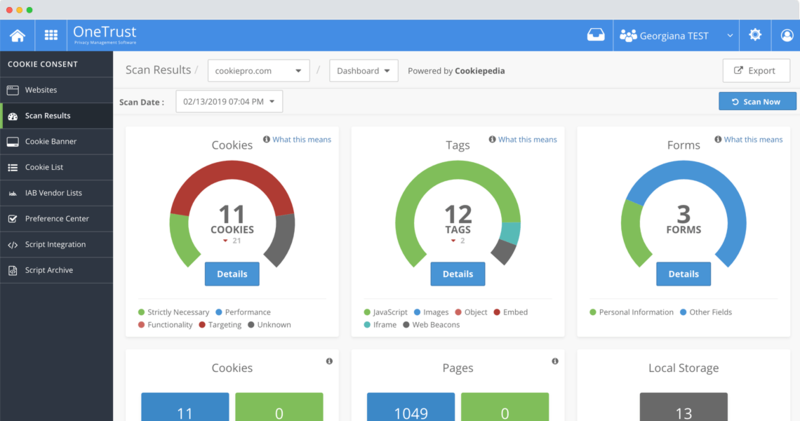 Using CookiePro, website owners can scan their website against our database of 5 million cookies, automatically generate a customizable cookie banner and easily manage cookie preferences. Scan your website against our database of 5M+ cookies and tracking technologies to identify and categorize tracking technologies on your site. Generate a cookie banner for your site using one of the UI templates provided, or customize your own based on your approach to capturing visitor consent. Site visitors can manage their cookie preferences using the CookiePro preference center to quickly enable and disable preferences at any time directly on your site. Show your banner only to visitors in the EU? Use reverse IP lookup to only show the banner to visitors accessing the site from an EU IP address. Language detection localizes content for site visitors based on the language-culture setting in their browser or webpage. 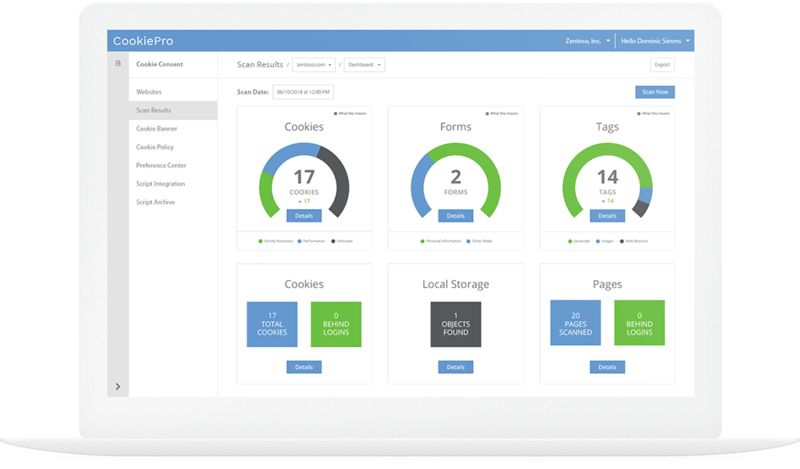 CookiePro will capture all site visitor preferences to maintain granular records of consent. Not ready for records? This can be toggled on or off in the tool. Captured consent, settings modifications on the cookie banner and preferences are stored in an audit log in the CookiePro consent module to show compliance history.